HTC today released a new 5.5-inch flagship phone. HTC U11 sports a cool technology called Edge Sense, which allows users to press the sides of the phone in order to launch various commands. The specific command is dependent upon the current app that the user runs. Hence a press on the sides of the phone means different things under different conditions. Edge is particularly useful during the winter while wearing gloves as it’s much easier to press the sides than the touch screen. 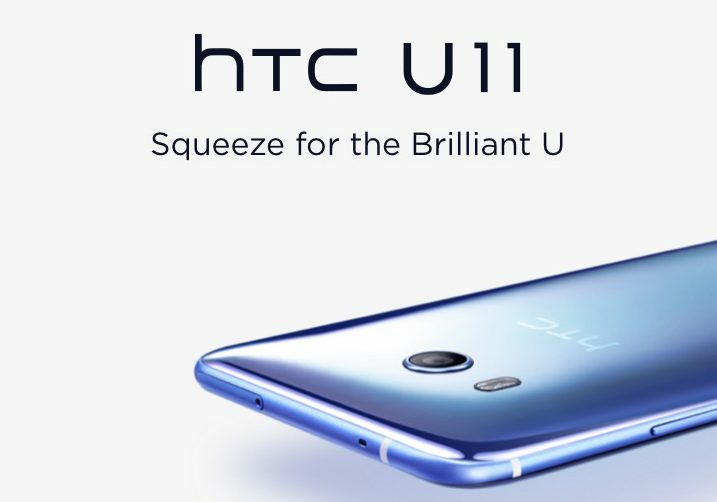 Furthermore, HTC U11 is waterproof with an IP67 certification, which means that one benefits from Edge Sense in water or when the phone is wet. It’s important to point out that IP67 (1 metre depth during 30 minutes) is lower than the IP68 certification (3 metres depth) that some competitors have achieved. The latest Qualcomm processor is Snap Dragon 835 powers the phone. This processor also appears on the competitive phones Samsung Galaxy S8 sold in North-America and Sony Xperia XZ Premium. HTC U11 employs dual Boomsound loudspeakers (Hi-Fi edition) that are located on the front of the phone. HTC cleverly uses the empty spaces within the phone’s body as an acoustic chamber in order to amplify and optimise the quality of the sound. The accompanying USonic headphones adjust the sound depending on the shape of the ears using Ultrasound technology. There’s also active noise-cancellation to further enhance the audio experience. The headphones connect to the phone using the USB-C port. The phone will start selling in stores at the beginning of June. Initially, it will only be available in silver and black colours. However, the brighter colours red, blue and white will become available later this year. The price is US$649, which converts to about NZ$1,050 inclusive of GST, for the 4 GB RAM and 64 GB storage model.